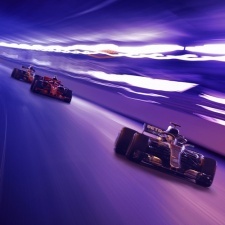 Hong Kong-based mobile publisher Animoca Brands has secured a global licensing deal with Formula 1 to develop and publish a blockchain game called F1 Delta Time. F1 Delta Time will have collectable in-game assets that will pull from the game’s racing component. The title’s first phase is due to be rolled out from May 10th, 2019. The deal is part of Animoca Brands’ aim of onboarding one billion users into blockchain. Formula 1 generates an annual race attendance of 4.1 million while receiving 1.6 billion television views. Animoca Brands will hope the large F1 fanbase can help create a strong foundation for the release. “Securing a partnership to make blockchain games with Formula 1 - one of the most recognised brands in sport - is a notable achievement,” said Animoca Brands co-founder and chairman Yat Siu. Recently Animoca Brands agreed an $8.9 million deal to resell iClick advertising inventory. The Pocket Gamer Connects conference is heading to Hong Kong on July 17th and 18th.